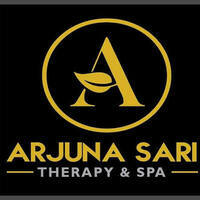 Arjuna Sari Therapy & Spa provides the solace that its male patrons need especially after facing hectic daily schedules. Situated at Seksyen 14 of Shah Alam, one can pamper themselves with services such as massage, hot stone therapy, and sauna among others, as well as enhancing their well-being through a sinus treatment. This spa centre consists of staff dedicated to provide their clients with optimum comfort, cocooned in the therapeutic atmosphere of dimly lit rooms.